The UK's biggest High Street banks have been severely criticised by the main City regulator for the poor way they deal with their customers' complaints. The Financial Services Authority said five of the banks, who are unnamed, had agreed to make big improvements. Two are being investigated further and may suffer large fines. The FSA blamed a lack of interest by senior bank management, bonus schemes that inhibited staff from paying compensation, and poor decision making. "While we found some good practice, there is clearly evidence of unacceptable standards of complaints handling in banks," said Dan Waters, the FSA's director of conduct risk. "Delivering change in this area is a major priority and we are determined to use all the tools available to us to ensure that banks comply with our rules," he warned. The banking industry receives about three million complaints a year. Last year, the Financial Ombudsman Service (FOS) reported that in many of the cases it dealt with, banks appeared to be deliberately fobbing off their customers in the hope they would go away, rather than showing any genuine desire to resolve the problem. It said customers were being dealt with "dismally" and eventually found in favour of more than half the customers whose complaints it dealt with. The FSA would not identify the individual banks it examined, save to point out that they were responsible for 70% of the complaints that firms receive and more than 60% of the unresolved complaints that ended up with the FOS. The five that were highlighted when the ombudsman started naming and shaming the most complained about banks in the second half of 2009 were Lloyds Banking Group, Barclays, RBS-NatWest, Abbey (now Santander) and HSBC. But HSBC said it was not one of the five being forced to change their ways by the regulator. "HSBC can categorically confirm that it is not one of the five banks being investigated by the FSA," a HSBC spokesman said. Eric Leenders of the British Bankers' Association (BBA) admitted that the industry needed to improve. "Clearly more needs to be done - that is why the BBA is working with the industry to bring all banks up to the standards of the best. "This is why both FOS and the banks have started to publish detailed complaint information," he said. The FSA demanded changes after investigating the way the banks had handled 600 sample complaints. These related mainly to day-to-day banking problems rather than the mis-selling of payment protection insurance, or overdraft charges, which have been dealt with separately by the FSA . 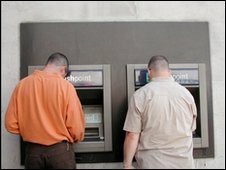 The regulator found examples of good practices in some parts of the banks which, it said, showed they could deal with their customers properly if they tried. One bank, unnamed, was judged to be satisfactory overall, though even it has agreed to some remedial action. At the four other banks, standards were generally low. • Correspondence was inadequate, with banks failing to tell the customers the outcome of their investigation in a way that was "fair, clear and not misleading"
• Three of the five banks failed to tell customers they could go to the FOS if they were still unhappy with their bank's reply. "This is another damning indictment of the banking industry, many of whose members consistently put sales before customer service," said Which? chief executive Peter Vicary-Smith. The FSA blamed senior management for not being sufficiently interested in their complaints procedures. And it pinpointed bank bonus schemes at branch level as another contributory factor. "Two banks' reward structures potentially encouraged poor complaint handling by focusing staff on meeting targets for the level of redress paid, rather than the quality of the outcome provided to the customer," it said. "This contributed to a poor culture, where branch staff and management were reluctant to make redress payments, even when the bank had made an error and the complaint was justified," it added. Marc Gander of the Consumer Action Group (CAG) welcomed the FSA's action, but said its findings were not surprising. "The banks have employed a diffident and dismissive approach to customer complaints for many years," he said. "We believe that it has always suited the banks to make complaining tough for their customers because, in this way, they have been able to fatigue and exhaust many of their customers into giving up. 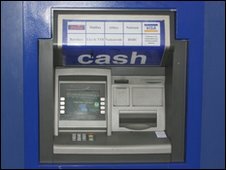 "The entire attitude of the UK banking industry towards its customers needs to be overhauled," he added.